The DLF belt weigh feeder extracts the material from a feed chute colling "calming chamber" through the constant cross-section and according to a fixed reference flow-rate (set point), adjusts the extracted volume by varying the belt speed in such a way as to keep a constant weighed flow-rate. In the “calming chamber” the material is slowed down and de-aerated. 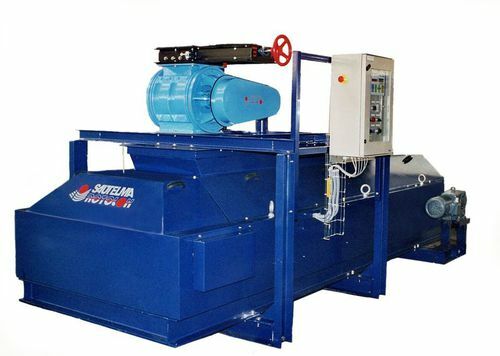 The DLF belt weigh feeder was designed especially for free end very free flowing materials. The belt conveyor is extended to incorporate the “calming chamber” where the material is slowed down and de-aerated.